As the divide between content and commerce continues to shrink, more publishers are offering shoppable content, or content that allows consumers to click to purchase the products featured in an article, photo gallery, or video. But is this evolution in content something that consumers are interested in? 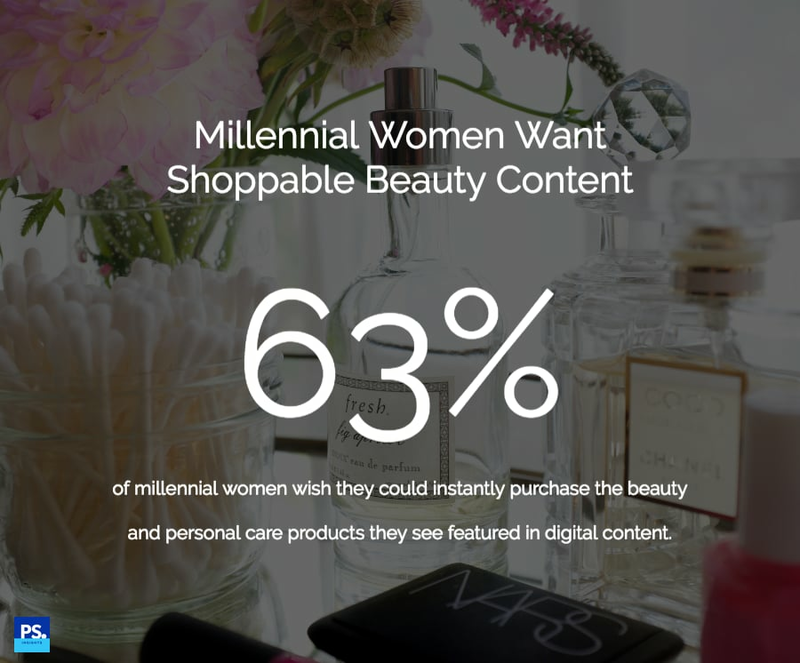 As part of the POPSUGAR Insights study "Beauty Evolved: How Millennial Women Shop for Beauty and Personal Care," we wanted to explore if women were interested in shoppable content. The short answer is yes. Overall, 63% of millennial women said that they wish they could instantly purchase the products they see featured in digital beauty content. Approximately 18% of millennial women say they very often wish that content was shoppable and 45% say they somewhat often wish that content was shoppable. Millennial women are 38% more likely than women between the ages of 35 and 49 to very often wish that shoppable content was available to them. Overall, 54% of women between the ages of 35 and 49 want shoppable content, making them 15% less likely to be interested in shoppable content than millennial women.